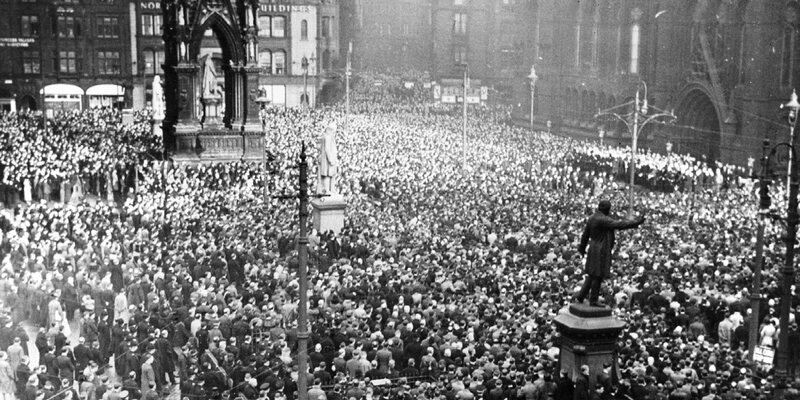 A place linked to prosperity — Manchester’s original ‘golden age’ is said to be the second half of the 19th century. 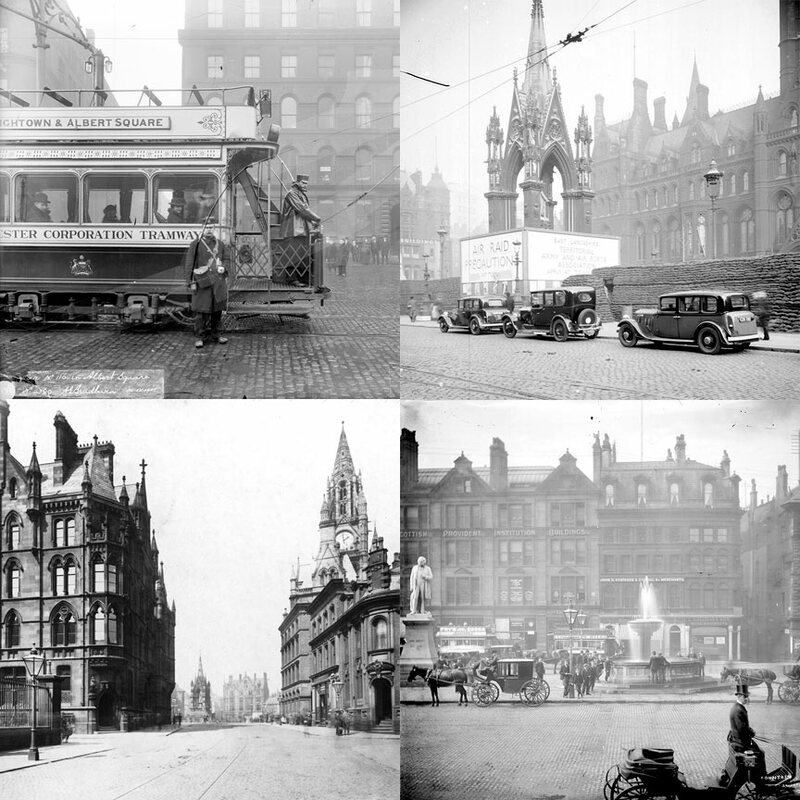 And it was in the vibrant, cosmopolitan atmosphere of the 1870s that Albert Square and its treasured buildings were created. It is a handsome, paved public space, bordered by grand Gothic architecture and adorned by monuments. And, as the city’s power is reignited, the Square’s relevance to the city’s prosperity remains vital. The Square’s architectural apex is the Grade I listed Manchester Town Hall, designed by Alfred Waterhouse and completed in 1877. 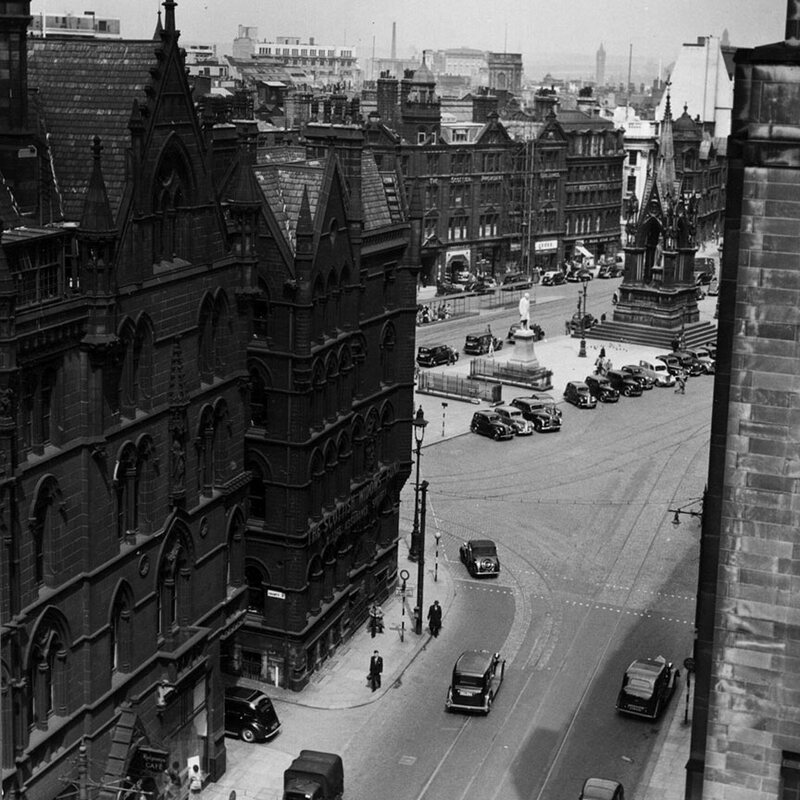 Built in sandstone, it marked a distinct departure from Manchester’s red brick and inspired many of the Square’s other Victorian buildings. Today, this beautiful Square and its surroundings are designated a conservation area, and many of its precious buildings are listed. The Square’s monuments include the resplendent Albert Memorial and four statues of great Victorian reformers. Oliver Heywood, a philanthropist, remembered for promoting education and healthcare in the city. John Bright, a renowned statesman, most famous for battling the Corn Laws. James Fraser, a reforming bishop of Manchester, known as ‘the bishop of all denominations’. And William Gladstone, generally considered one of the country’s greatest Prime Ministers. Under the approving gaze of these revered figures, The Albert Estate takes its turn in history to champion the city and its people. 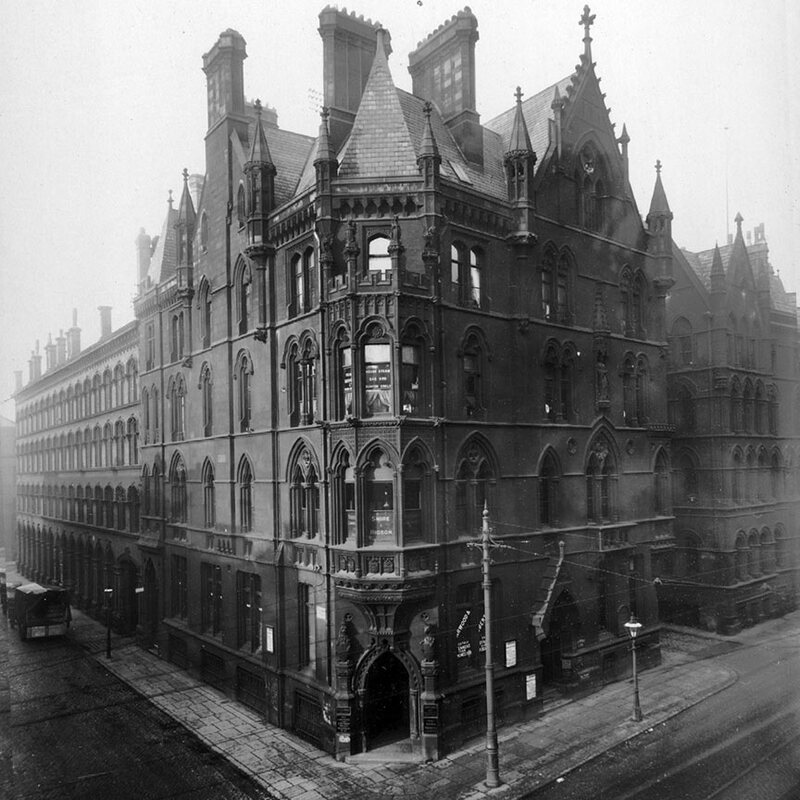 Victoria Buildings was designed in the Gothic style by Manchester-based architects Pennington and Bridgen. It was built in 1877 and features a brick facade with a sandstone dressing. The Grade II listed Northern Assurance Building was designed by Manchester-based architect Waddington and Sons and built in 1902. Its magnificent York stone and Cornish granite facade sits under a Westmorland slate roof and lead cupola. 2 Mount Street was built in 1872 and designed by Pennington and Bridgen in a style to complement the Town Hall. It has a Grade II* listing status, thanks to its particularly ornate Neo-Gothic facade.